Bitcoin: is it like gold or Dutch tulip bulbs? Either way, investors are flocking to the crypto-currency, which is mined with computers and circulates outside the control of any central bank. The latest buzz comes by way of the Bitcoin Boost Fund, a new Silicon Valley fund that announced on Tuesday that it will hand out $50,000 to seven or so Bitcoin startups. All of the startups will be graduates of Boost VC, an accelerator program that seeks to mentor would-be Bitcoin barons. The accelerator, created earlier this year, is run by Adam Draper, who describes himself as a “fourth generation VC” and who is hosting a hackathon at the “Bitcoin: Future of payments” conference in San Jose this weekend. Liew added that Bitcoin is most appealing to merchants who want to impose the 3% transaction cost for payments often imposed in the traditional financial system. 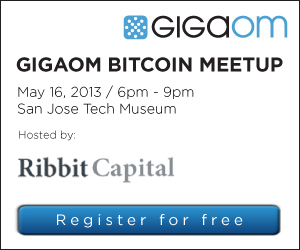 If you’re curious about Bitcoin, come join us at GigaOM’s meet-up this Thursday in San Jose — we’ll have CEOs who work in Bitcoin and engineers from Facebook(s fb) and Google(s goog) to discuss speculation, security and more. The event, which is filling up fast, is free thanks to our friends at Ribbit Capital, and takes place from 6 to 9 — it will include time for chat and cocktails.